Well, the Bluebirds are definitely back. I have probably seen about 40+ individuals since they arrived, on various drives around the countryside. The air is filled with the songs of these blue beauties if you stop to listen where you find them. Meadowlarks are also singing their familair spring song, as are Horned Larks, trilling away from fence post or snowfilled ditch. On Sunday, my wife and I took a drive out to Cranberry Flats and some backroads around Pike Lake. Many new duck species are now also making there way back where-ever there is open water. New year species seen over the last 2 days are : Northern Shoveler, Redhead, American Wigeon & Northern Pintail. These blue birds are fantastic colorful birds. I have discovered tham on several blog and found them really beautiful. I love your lark pictures too. These birds too are really cute! Well done, this is a very beautiful set of pictures. Well done. Wow you hit the jackpot today ! Your Saskatoon birding is really putting Regina's to shame. :( Very nice work,I think the lark is my favorite! Beautiful photos! I am happy to hear the bluebirds have made it back. Nice photography. I like the harrier in flight. I do get to see and sometimes photograph the Eastern Meadowlark. A little difference but not that much. 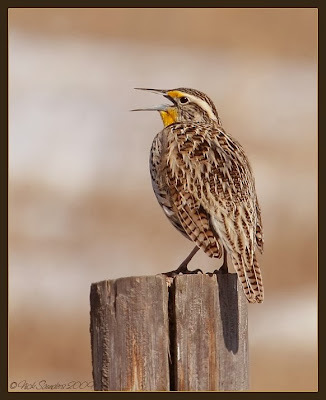 Those Bluebirds look stunning, and the Western Meadowlark is a beautiful picture. Those bluebirds are just beautiful to behold! 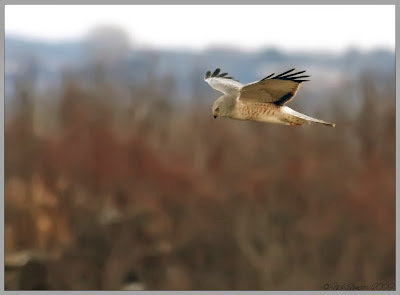 The larks and harrier - just brilliant photos! ...gosh...these birds are all gorgeous. I never know what I will find on your site! The blue is so intense in the bluebird! 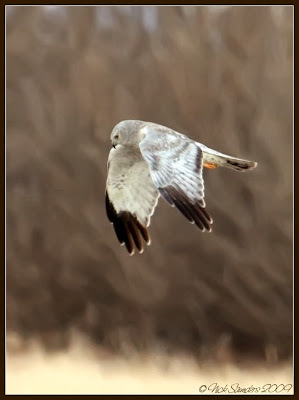 I like seeing the Harrier in flight and the meadowlark--wow! The Mountain Bluebirds are so vibrant.Each of the pictures are great. 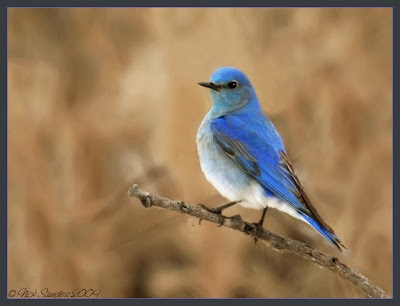 I love your picture of the mountain blue bird..a little different than our eastern blues...they all capture our hearts tho..just such a sweet bird! You really are finding some great birds to photograph..and as usual your pics are wonderful. ..have yet to see a meadowlark ..but know they are around! Nick: You take beautiful bird photos in the great nature setting. You have some great pictures Nick. 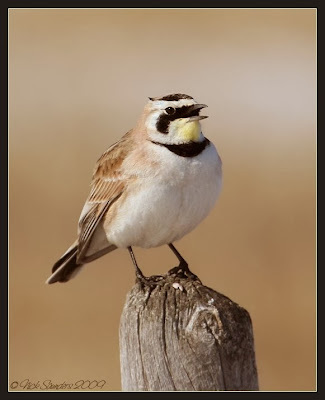 The Horned Lark is a beautiful bird which is a new one on me - don't get these in the UK. 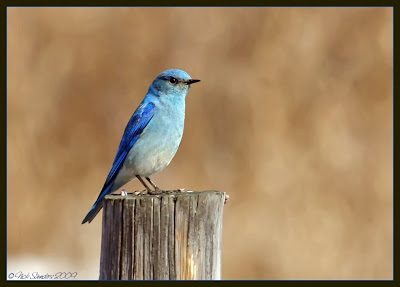 Oh, just look at your Mountain Bluebird... he's lovely. Is their warble like their Eastern cousins? What song do you love to download? Thank you for your enthusiasm!